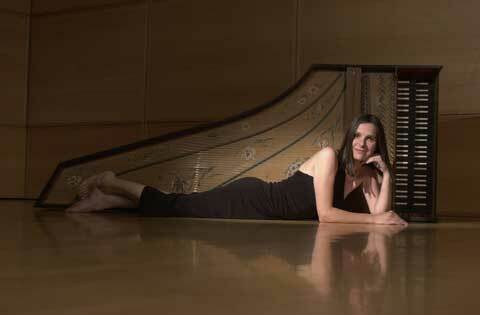 A native of Chicoutimi, Quebec, Johanne Couture studied the harpsichord at the Conservatoire de musique du Québec à Chicoutimi and the Sweelinck Conservatorium in Amsterdam before completing a doctorate in performance at McGill University. She is the recipient of grants and awards from numerous organizations, including Youth and Music Canada, the Orchestre Symphonique du Saguenay-Lac-St-Jean, the Halifax Early Music Festival, McGill University (Max Stern Fellowship), and the Social Sciences and Humanities Research Council of Canada (SSHRC). As a SSHRC grant recipient, Johanne Couture pursued post-doctoral studies in French harpsichord music of the 17th century, and she has given a number of lectures on this subject at university symposia. 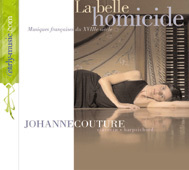 Johanne Couture performs regularly both as a soloist and as a chamber musician with various ensembles, and she is heard regularly on Radio-Canada. She has participated in numerous baroque operas as both a harpsichordist and a rehearsal accompanist. In parallel with her career as a musician and researcher, Johanne Couture has worked for a number of years at the college and university level as an accompanist and a lecturer. Johanne is a member of early-music.com, a site committed to the promotion of some of the world’s finest early music artists. the world’s finest early music musicians.